We’ve covered many rooting procedures for several Android phones and tablets, today I bring Unlock Root tools which can root any Android phone supporting Android 2.1, 2.2 and 2.3. By using this one click tools, you can Root and Unroot your Android phone in minutes. Unlock Root tool support 260+ different handsets from different handset manufacturers such as Samsung, HTC, Sony, Motorola, Dell, Asus, Acer and Huawei. This tool is safe to use and even those are new to Android rooting, can use this tool effectively. This tutorial help you to Root and Unroot any Android phone. 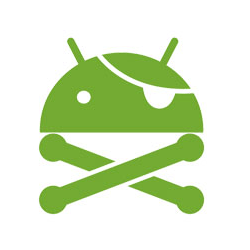 Rooting is the process by which you gain Root/Administrative access to your phone. After that you can perform any action on your phone as you’ve administrative privileges. You can install CWM recovery, ROM’s or even you can remove crap system apps that you never used. Install Custom Recovery: With Custom recovery you can recover your corrupt Android OS, create and backup images, flash custom ROMs, and partition your SD card. Generally all these things are not possible with Stock Recovery. Most popular recovery is ClockworkMod recovery. Install ROMs: After the rooting, you can install different ROMs on your phone from different vendors, they’re no of ROMs available to try which bring different functionality and feel to your phone. The most popular ROM is MIUI ROM. Improved Performance: You can speed up your Android device by relocating your phones cache thus allowing you to save phone memory and have a faster phone. You can also overclock your device to make it faster, they’re many such apps available to overclock your phone processor. Warranty Loss: Rooting your phone will void your device warranty, you’re no longer get any warranty from the manufacturers. Security break: Your device comes with special protection so that it stay safe from malware but by rooting we break that protection. No OTA Update: After update, you won’t receive any OTA update from device manufacturer. Apps will not work: Many apps such as Google Wallet is not compatible with Rooted phone, you’re unable to install it from Google Play Store. Enable USB Debugging on your device. Go to Settings > Application > Development and check USB debugging option. Kudos You’ve successfully rooted your device, for any query please comment below. Your report on how to root Android phones is really useful and helpful to many enthusiasts who want to root their Android phones. I am interested to buy Ainol Novo 7 Aurora Tablet since this has many good features and the price is affordable. Do you know any dealer in India who can supply this tablet?